Go See Campus — College Trip Planning Made Easy! New York presents college-bound students with tremendous opportunity both on- and off-campus. At the same time, students and parents often have questions about planning college visits within the city. That's where our college advice comes in. Go See Campus has put together five great tips for college visits in New York City. Read on to solve some of the common challenges families face and to get more from your trip experience. 1. Planning college visits in advance is essential. 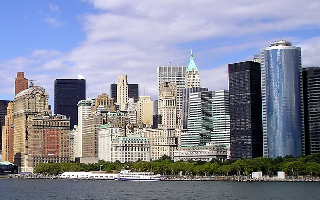 New York City offers non-stop activity. That energy is one of the reasons it attracts thousands of students to apply to its colleges, but it also requires some foresight in organizing your trip. While you might be able to meander through campus visits in other parts of the country, an unstructured college trip to New York City may frustrate students and parents who are unfamiliar with the city. From Go See Campus: We always encourage high school students and parents to structure their college visits before they hit the road. That's why we built our College Trip Planner! For college visits in New York City, though, planning in advance is even more important because of the distance between campuses, the traffic, the unfamiliarity of traveling in the city, and the popularity of New York City and its colleges. 2. Take advantage of subways, buses, and taxis. From Go See Campus: Though you may be unfamiliar with the subway, bus, and taxi systems, they are likely the best options for you to get to college visits throughout New York. Just use some of the resources mentioned above, and include some time for making mistakes and double-checking your route. 3. Explore different types of colleges and campuses. Whether you're planning a quick visit or a campus tour, information session, and college interview, take the time to evaluate what each school has to offer. Few other cities are so interconnected with college campuses the way that New York is. Your college visits will help you decide if that's the type of experience you want. From Go See Campus: The style of campus can contribute in a big way to your comfort with student life. Before your college visits in New York, take the time to prepare some questions for college students, including how close important resources are and how the college helps freshmen acclimate to living in the city. 4. Find out if New York City is right for you. During your college visits in New York, it's just as important to assess your fit with the city as it is to decide if a specific university is a match for your interests. Little experiences can have a huge impact on your impression of living and learning in NYC, so do all you can to soak it in during your trip. From Go See Campus: Several of our contributors mentioned safety, since this can be a concern for people who are making college visits to New York City for the first time. In general, they recommend keeping your personal belongings nearby and zipped close. They also suggest staying in well-lit areas and sticking to busier streets during the evenings if you are walking around. Take basic precautions to ensure a safe and enjoyable experience. 5. Look for ways to save money during your trip / as a student. New York City is amazing, but it can be pricey. From travel to lodging to dining, it's easy to rack up the expenses during your trip. As a college student, you may face some of the same challenges. Take the time to consider the costs and to explore potential savings. From Go See Campus: If you can find small ways to save on the cost of your college visits to New York, you'll have the chance to splurge here and there during your trip. Plan out some of your meals and seek out less-expensive lodging and travel (our dining finder and travel partners can help!) Getting organized now will keep you from having to spend more than you intended because affordable options aren't available when you need them. Do you have advice on visiting colleges in New York City? Share it with the community! Already Planned Your College Visits? Book Your Trip!